2 Who are comics for? 3 What about graphic novels? 4 What are the various formats of a comic? 5 What about Marvel and DC? Are there others? 6 What are “indie” comics? 7 What’s “continuity” all about? 8 What do I read? Where do I start? 9 How do I buy comics? 10 Who makes these comics? 11 How do I store my comics? Will they be worth anything? 12 Got any other questions? Comics are a medium whose art is presented in sequential panels of individual scenes. Like other mediums such as cinema, television and novels, many different genres can be found, tough like other mediums they gravitate towards certain genres better suited for common format or that are culturally ingrained within the medium (such as superheroes). Comics are often serialized, but this is not the necessarily the case for every comic. Comics are unique for a number of reasons, one of which is the “shared universe” concept prevalent in the medium, where a number of different characters all exist in the same world. It is not common to all comics, nor exclusive to them, but it’s breadth of use is somewhat unique . While culturally we assume that comics are for kids, that is mostly a perception that has persisted from a time before most of us were born, when comics became extremely popular among youth in the 30’s and 40’s. Marvel Comics gained cultural significance in 1961 when Stan Lee, the writer, decided to make stories he would read (See Fantastic Four #1). From that point on, the target market for comics widened considerably. 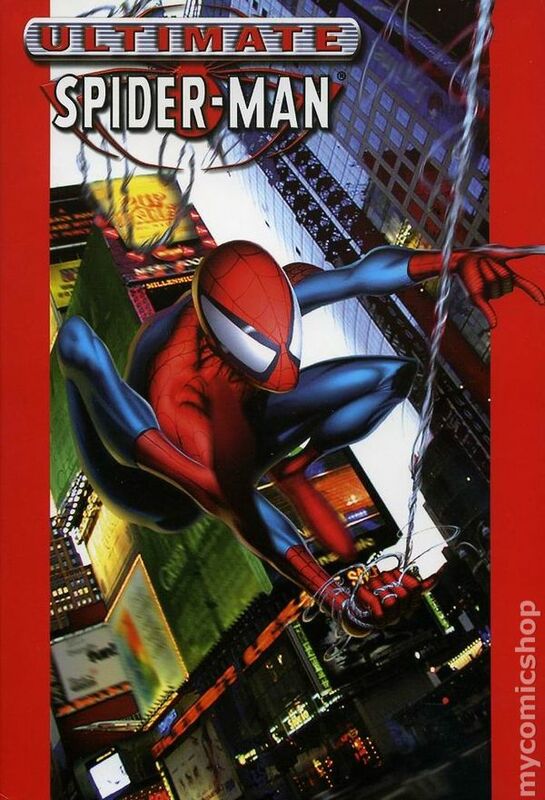 Graphic novels has become a popular term to use when referring to comic books as some see it as a more mature term. What it really designates is a format within the medium. Graphic novels are longer form stories (as opposed the more common 30-40 page issue) which contain one story from beginning to end. What are the various formats of a comic? As mentioned, the graphic novel is a long form of a comic book that usually has a complete story contain within. An original graphic novel (OGN) is a comic that is originally published in this format. This term came to be as it is now common to call a series of comics reprinted in a collected format as a graphic novel (Watchmen, one of the most notable “graphic novels”, was originally a mini-series that was later collected as “graphic novel”). While the term graphic novel has evolved to include the meaning of any long form or collected edition, there are other terms that further describe these formats. First, the trade paperback (TPB) is a softcover edition. Hardcover editions (HC) are also an important format, as is the “oversized hardcover” (OHC), though are often only used for OGNs or more popular collection editions. Unlike the “book” world, hardcovers don’t always proceed the softcover TPB. However, the most popular form is the single issue. These formats are the slim, folded pages with staples holding them together that we first think of when we hear the word “comics” Single issues are sometimes referred to as “floppies” or “monthlies”. They are often the first format in which a story is published. New issues come out every week (Wednesdays for a better part of the last few decades). The examples below are all Ultimate Spider-Man #1 or Vol. 1, but are different formats and can contain anything from a single issue to more to a few dozen. There are two very common uses for the term “volume”. One refers to the iteration of a certain series. For example, Fantastic Four has seen multiple volumes of the title, most of which begin with a new #1 and present a new jumping on point. The title’s volume number is often essential when referring to a particular issue (i.e. Fantastic Four Vol. 3 #4). The second common use of the term “volume” refers to collected editions, which is counted sequentially for each book as the “issue” number would be used for floppies. Using our previous example, a collection of a Fantastic Four series would begin with “Volume 1”, which would collect, says the first six issues, then move on to “Volume 2” which would collect the next 6 issues. What about Marvel and DC? Are there others? This is a fairly common question, that leads to a greater discussion on different types of comics offered, but least answer that question first. First, Marvel and DC has a lot in common. They have both dominated comic book sales for the past few decades, and both have a very strong focus on superheroes. They are collectively known in the industry as the “Big 2”, which refers to their position in the industry. They also employ “shared universes”, in which most of what they publish all occurs in the same world. They also have a variety of “imprints”, which are set outside of this shared universe. They directly own the characters they publish (intellectual property ,or IP). Image Comics began as the top Marvel creators left the company during the 90’s boom to create and retain ownership of their own characters. It’s currently the most prominent creator-owned publisher. Popular series from this publisher are the Walking Dead and Saga. Dark Horse Comics: has a portfolio of creator-owned and licensed comics as well their own characters. 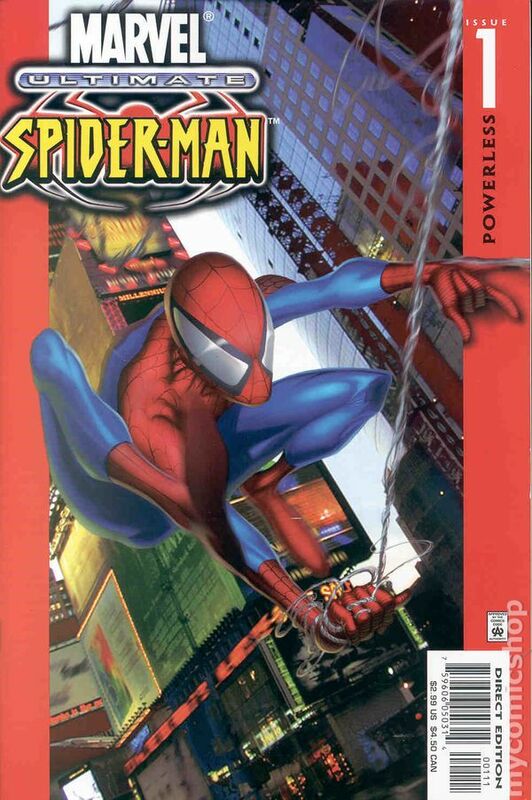 This publisher was very well known for its success with the Star Wars license (now transfered to Disney-owned Marvel). IDW specializes in licensed properties (TMNT and Transformers), though they have published original comics such as Joe Hill’s critically acclaimed Locke and Key as well as co-publishing and curating “Artist Editions” of popular runs.Among the other “small press” publishers are Dynamite, which does licensed characters (mostly), ONI Press, who publish mostly all original comics and Valiant, who has it’s own IP. Archie Comics are still alive and well. The meaning of “indie” comics has changed over the years. Some may refer to “indie” as anything creator-owned, or anything from a publisher outside of the Big 2 (i.e. “independent” of major corporations such as Disney and DC-Owner Warner Brothers). However, the most accurate description of Indie Comics would be any comic in which every step has been created and financed by the individual or creative team, from the script to pencils to printing and distribution. “Web Comics” have been a popular outlet for these type of creators. Underground comics/comix and Alternative comics are other terms with their own definitions that Wikipedia does a better job than me in defining them. Continuity is consistency: it’s about maintaining the plot and characteristics throughout the connected books. Canon is the material that is accepted within that fictional universe. Confusing regarding these concepts occur often when refering to DC and Marvel’s fictional universes, which have existed for decades across a multitude of titles. There are tools used to “manage” the continuity of their universes, and the Big 2 in particular have each employed them in a variety of ways. Some employ the “floating timeline” (or “sliding timescale”) to explain the difference in the passage of time in comics: since the characters don’t age in real time, events referred to in older comics, such as a particular war, would suddenly be changed to a similar more current event that would properly reflect the passage of time within the universe, such as a more recent war. Marvel is well known for its usage of this tool, as it has one of the longest running fictional universes ever in which events considered canon go back, at least, all the way to Fantastic Four #1 in 1961. A “reboot” is another way to deal with continuity that is outdated. This basically means that at a certain point, the fictional universe starts fresh, with only the issues published from that point being considered part of that new continuity. DC employed reboots numerous times, with varying levels of commitment to the removal of old material from continuity (The Post-Crisis era is one of DC’s most thourough reboots). This is seperate from what is considered a “relaunch”, which implies that a series has a new beginning without necessarily discarding previous continuity. A “revamp” is an updating of the concepts of the characters or the title. These three concepts (reboot, relaunch, revamp) can all be used in any combination. What do I read? Where do I start? Ask around for recommendations based on your interests. Comics are a medium, not a genre. Consider that the first thing you read might not tickle your fancy. Also, the craft has evolved, and reading some the older but acclaimed material, like Stan Lee and Jack Kirby’s Fantastic Four, might be hard to swallow when compared to something more modern (though once you develop a taste for the craft, you might want to go back read the “classics”). Your best ressource to get started is your local library. They often have access to a large number of graphic novels, which will help you get started without costing a thing. Don’t try to read everything! We’ve developped the instinct of late to “binge watch” entire television series or movie franchises thanks to cheap box sets, cable channel marathons and Netflix. However, catching up to something longstanding like Spider-Man would be the equivalent of binge-watching General Hospital – you just don’t need to see all of what came before to enjoy what’s going on now. There are more than enough lists out there (and lord knows we have more than our faire share) that list the best collections, what has happened previously, and what is essential to read. Stick to those lists. How do I buy comics? Today, there are more than enough collected editions and graphic novels that a “reader” might not be reading new issues as they come out but still spend all their time reading. The TPB editions are often cheaper, but come out sometimes months after the last issue collected within was originally published. New comics come out every week on Wednesdays. Some titles ship monthly, a few ship weekly, while some may take a hiatus between volumes. Comics that ship more reguarly will see creative teams be more fluid than, say, creator-owned titles. Most comic shops offer “pull lists”, in which they specifically order and reserve copies of titles for you based on the list you gave them. Preordering your comics is very important, as it ensures a copy for yourself, while allowing retailers to order the right quanities. The cut-off to ensure an ordered copy is often a month or two before the comic ships, so if you want something, ask early. You can see what is coming out in the next few months by perusing the “Previews” catalogue. When the Marvel Age of Comics came around in 1961 when Stan Lee began writing the comics he wanted to read, he brought in a concept he enjoyed from his favorite medium, cinema: credits. The names of the people who worked on the product were front and center from that point on. Today, the names of the creative teams were so important that they now figure on the cover. The writer is the person who provides the script to the artist. The dialogue comes from this person, though the details of what elements should be seen (i.e. drawn) in the book depend on the relationship between the writer and the artist (sometimes the script is very detailed, sometimes the writer leaves certain elements the artist, and sometimes the artist can provide details that weren’t specified). The term “artist”, today, often refers to a person who plays both the roles “penciller” and “inker”, though perhaps the term penciller tself is a bit outdated as pencils themselves aren’t necessary in the digital age (despite the output being possibly very similar). It’s also very common for the role of the inker to be done by separate person (inking is an art in itself and not just “tracing”. See: Wade Von Grawbadger) . Occasionally you may also hear of the roles of “breakdowns” (or even “layouts“) and “finishes”, which is similar to “pencils” and “inks”, though the former duo sees the first role providing fewer details than would the first role in the former. Many artists today, especially with the help of digital tools, are able to provide the the full range of roles from the initial breakdown to full colors (see: Fiona Staples). “Painter” or even “digital painter” are other self-explanatory roles that stradle the line between penciler, inker and colorist (see: Alex Ross, Dean White). The dynamics of the creative team, notably betwen the artist and writer, are very unique to comics. Very few of the top selling, popular comics are made by one single individual (though that practice is alive and well with webcomics). Some writers may provide full scripts to their artists, similar in format to movie or television script, while others may provide elements of the plot or work on the story together and have the writer come in later to provide dialogue once the art is complete. The “Marvel Method” was popularized by the aformentioned Stan Lee, who give the idea of the story to his artist, who would draw the story only to later add in the dialogue. Jack Kirby, and industry legend, ended up “writing” many of the stories he pencilled, with the general idea and dialogue provided by Stan Lee. Today, the most common roles you’ll see in the credits are writer, artist, colorist, letterer and editor, though there are other titles used to describe these roles or others that blur the lines between them. The term “Storytellers” are occasionally used for both the traditional writer and team artist team when the collaboration between them are so strong the lines between those individual roles are blurred (See: Mark and Chris Samnee on Daredevil). The “colorist“ s a role that has been getting its due in terms of what they bring to the art. When comics were originally limited through the four-color-process (that “pop-art” look that looks like a series of dots when seen close up) and the low quality of the newsprint paper, the role of the colorist was much more limited. Today, the options are nearly limitless, and the colors used are often incorporated into the storytelling process to set the tone and provide visual cues. (See: Dean White, Jordie Bellaire, Dave Stewart, Matt Hollingsworth). The role of the “letterer” might seem very self-explanatory, but this job is not be taken lightly. The letterer not only must try to fit dialogue into the art provided with hiding important elements, they also can suggest edits to so the text fits better into the book. Finally, you’ll often see the name of the editor, and especially if you read comics from the Big 2, you’ll see associate editors or assistant editor, senior editors, etc. The role that these people play can vary widely: they can simply be the person hired to proofread the comic, or they can be the person pulling the strings that gets the comic out the door, from hiring the creative team and bringing people together to give them the direction on the overall plot and, in the case of long-running shared-universe comics, ensuring continuity and consistency of the characters. Editors can even be credited with creating characters through their involvement. How do I store my comics? Will they be worth anything? While most trade paperbacks and hardcovers sit nicely on a shelf, periodicals take extra care if you want to enjoy them years down the road. Each collector is different, as some are more “reader” oriented and only scale the level of care they give depending on the issue, while others give each issue a five-star treatment. The discussion about comic storage always leads to the question of comic book values. Will the comics you read today off the rack be worth something? Scarcity and demand are what dictate prices. 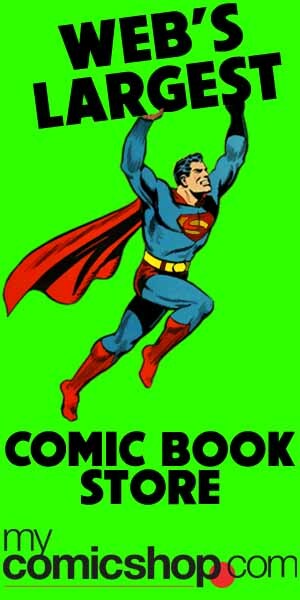 Action Comics #1 is expensive because good copies are scarce (paper was rationed during war, and comics were considered disposable after being read) and the demand is high relative to the number of copies. Today, with people taking better care of their comics, it’s harder to get that level scarcity. And with digital comics and increased availability of issues through reprints in trades, the demand isn’t as strong for orginal issues as it once was. In general, comics aren’t a great investment in terms of monetary return on investment, but that doesn’t mean you should care for your comics; there’s still a great value in reading your comics again or passing them down, which is makes them a good “investment” in that sense. Many use comic storage bags and boards for each “floppy” to ensure their longevity. The bags themselves come in variety of materials. The most common are 2-mil polypropylene (clearer) and 3-mil polyethylene (thicker) bags – I personally prefer the 3-mil over the 2-mil, along with a piece of “magic” tape to seal it off, but that’s just me! Other, premium options include mylar, which are more expensive but preserve your comics much better. “Slabbing” is another method, which consists of getting a comic professionally “graded”, by either PGX or CGC nd having them then seal it a thick, plastic case. While common bags and boards go for about $0.20 an issue, slabbing can be upwards of $30. There are many types of boxes as well, including the common “longbox” and “shortbox” and the sturdier “drawer box”. I personally use a filing cabinet, which is sturdier, though much more expensive (check out “going out of business” office furniture sales to get one cheap!). Ask us on Tumblr, and we’ll add it below! When storing a comic in a bag, we also see a piece of white cardboard in with it, what use is this for?